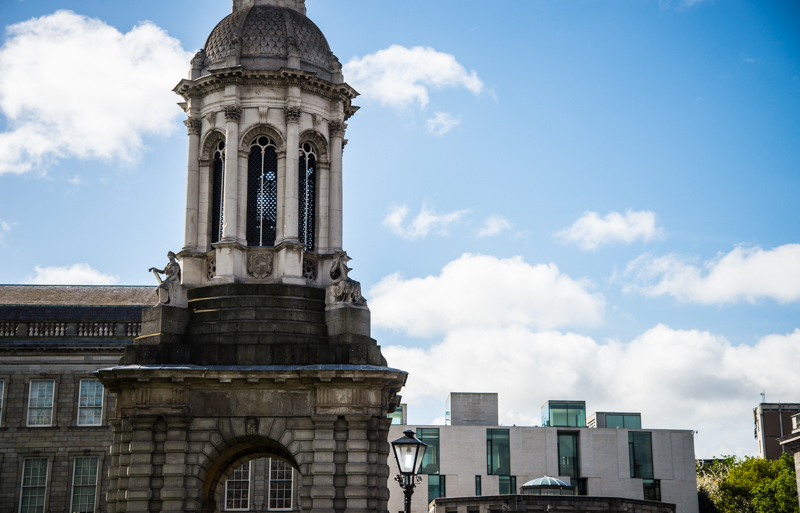 Senator Sean Barrett argues that world rankings, which are increasingly becoming a focus in Trinity, often come at the expense of students. Rankings are the latest assault on the university. They represent the desire to focus on increased managerialism and a focus on administrators and institutional self-aggrandizement, as opposed to the people who are at the core of the university – the students. I have always held that the university’s core mission is education, meaningful interactions with the students and that research compliments that process. The university sector is currently being forced to focus almost singularly on rankings at the expense of their true purpose and in an economic environment that denies them the capacity to live up to the expectation of the league tables. Managerialism, which the rankings attempt to feed, sees students as “revenue units” or “customers” and academic staff as “cost centres” or “full-time equivalent costs” that get in the way of the true mission of the institution – obtaining more research revenue and international kudos via the league tables. As a result, much sweat has been expended in the aim of making a “rankings strategy”. I have repeatedly noted that during the time I was in the Seanad that we have not taken higher education seriously by expanding student numbers by over 31,000 and reducing staff by over 2,000, all the while reducing the core student funding and attacking institutional autonomy. The Higher Education Authority entered the higher education system and universities into what CEO Tom Boland describes as “managed decline”. This is a gross unfairness to a generation of students facing into a highly uncertain economic future. 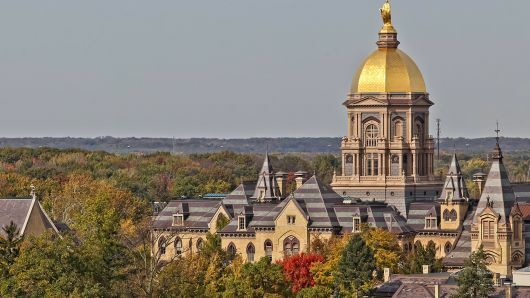 The average top 200 university has a total annual income of $751,139 per academic (compared with $606,345 for a top 400 university), has a student–staff ratio of 11.7:1 (compared with 12.5:1 for a top 400 university), hires 20 per cent of its staff from abroad (compared with 18 per cent for a top 400 university), has a total research income of $229,109 per academic (compared with $168,739 for a top 400 university), publishes 43 per cent of all its research papers with at least one international co-author (compared with 42 per cent at a top 400 university) and has a student body made up of 19 per cent international students (compared with 16 per cent at a top 400 university). However, the figures from the “average top 200 university” will admittedly be skewed by data from the top 10-20 universities, such as Harvard, with an annual income of $3,777,700,000.00 and an annual research income per academic of $857,596,897. 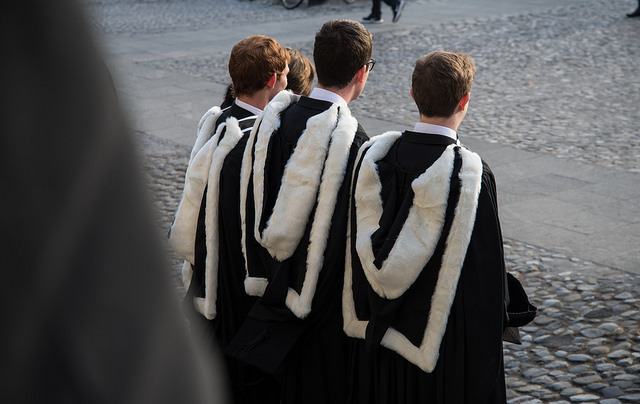 While the above comprise the figures for the average top 200, Trinity’s figures stand as follows: Trinity College’s income per academic is 45 per cent lower than that of the average top 200 university. 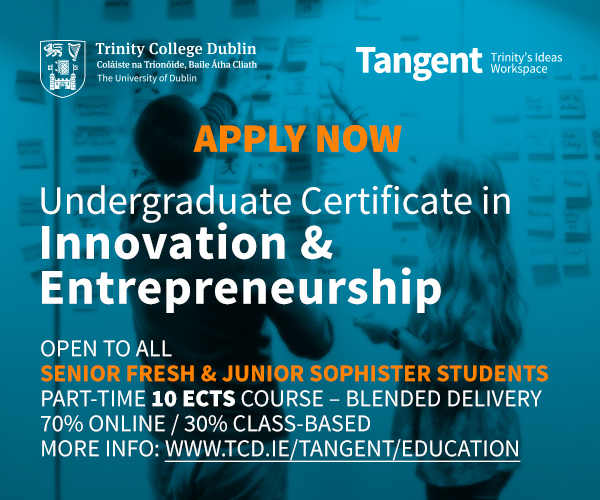 It has a total annual income of $414,340 per academic (compared with $751,139 per academic for the average top 200 institution and $606,345 for a top 400 university, according to TCD institutional data 2012-2013. Trinity’s research income per academic is 37 per cent lower than that of the average top 200 university. Trinity has a total research income of $144,382.42 per academic (compared with $229,109 for the average top 200 university and $168,739 for a top 400 university). 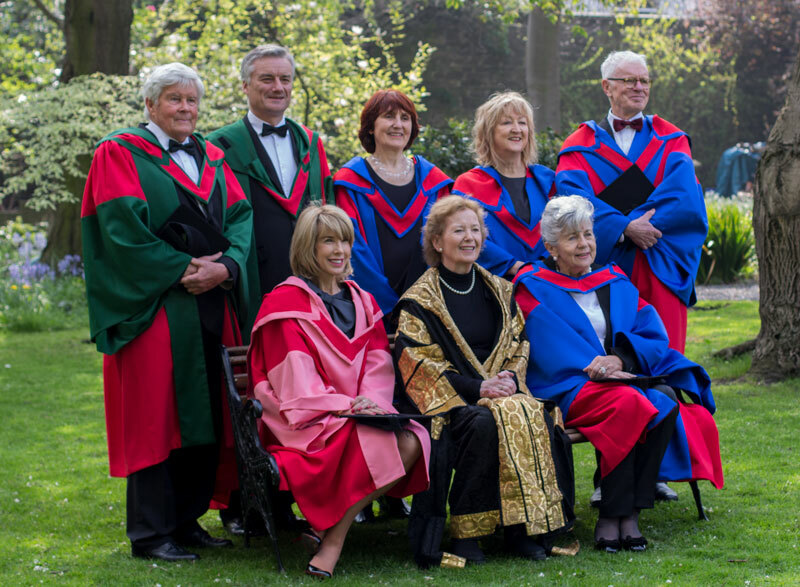 The student–staff ratio of the average top 200 university is 35 per cent lower than that of Trinity College. We have a student–staff ratio of 18.5:1 (2012-2013, using Times Higher Education criteria) compared with 11.7:1 for the average top 200 university and 12.5:1 for a top 400 university. Having sat on the Oireachtas Banking Inquiry and the Finance and Public Expenditure Committees for the past few years, I can clearly state that Ireland, thanks to the banking crisis, does not have the money to compete with Harvard on the rankings even if they regularly compete with them at debating and win. The graduates of TCD are competitive with Berkley and UCLA on much less expenditure per student. As a sector, higher education – not to put too fine a point on it – is deeply confused. The provocativeness of this statement relates directly to why this conference was convened by the Commission. The EU, along with Ireland, launched a new system of higher education analysis called U-Multirank. It has approximately 30 (with potential for more) indicators across five broad areas. Yes, those are a lot of data points for a given institution. Though the conference was generally convinced of the project required more data points it already conceded that providing the necessary information to make U-Multirank work was going to be a daunting task. U-Multirank features five different performance profiles that respect mission diversity. Teaching and learning is composed of expenditure teaching, graduation rate, interdisciplinary programmes, relative graduate employment, and time to degree; research consists of art-related output, expenditure research, citations, publications, interdisciplinary research, international awards, number of post-docs, and competitive research income; knowledge transfer comprises incentives, university-industry publications, third-party funding, patents, size of TTO, CPD courses offered, co-patents, and spin-offs; international orientation is composed of programmes in foreign tongue, academic staff, PhD graduations, joint research publications, and joint degree programmes; and regional engagement is composed of graduates in the region and income from the region, research publications, and regional student internships. Universities have a lot of directions to go in and typically parents, students and the state would like them to excel at all these objectives. The issue is that a financially distressed university begins to behave in perverse ways. The Economics of University Behaviour by David A Garvin presents the economics behind the university. Universities aim to maximise prestige. This is a function of their inability to properly engage in market clearing since for non-market reasons they engage in active “rationing” of places based on entrance criteria, not on an equilibrium based on supply, demand and prices. One of the results is how quickly perverse decisions become acceptable as a result of “fact-based policy”, typically formulated from naïve models fed by poor data. Courses are shut down or over expanded. Institutions enter an environment where their social marginal benefit function converges upon their marginal benefit (private) function. Also, second-order effects become more prevalent with an increased “balkanization” of departments and courses and academic/financial units entering into “arms races” or “predatory” behavior against other internal and external units. Higher education has changed substantially over the past 60 years. The first wave of expansion has been found to be financially unsustainable. Looking at US manpower texts from the 1960s will illustrate a world where the staff were very well paid, student numbers were increasing and plant was new. Fast forward to today, and many of those individuals have now retired on unsustainable defined-benefit pensions, most staff now are adjunct staff and not well-paid, and the physical plant is now antiquated or trapped in a vicious cycle of high-speed depreciation. The higher education sector, like much of the education sector, has become a new solution to many of the economy’s ills: “If we are smarter we will get the jobs” and “if we have the best education system we will invent new ways of doing business”. The “smart economy” and the “knowledge economy” mantras are well known to Irish readers. Declan Jordan of UCC and Colm McCarthy of UCD have written about the “faith-based policy” related to research and development in Ireland. Though Ireland has had a particularly poor record, such policies are not entirely successful elsewhere. The conclusion of part of the conference was essentially that “education is good for you” much like the old Guinness ads purporting that “Guinness is good for you” while being greeted by a smiling toucan. The ranking systems constantly seek the quantification of unquantifiables and the construction of proxies wherever possible. The Finnish, renowned for their high quality of primary and secondary education systems, place little faith in metrics, but instead in rigorous advanced training. The obsession with rankings and the numbers of committees, consultants and time, money and energy spent on this foolish arms race is time and money and energy better spent on students and on real research. 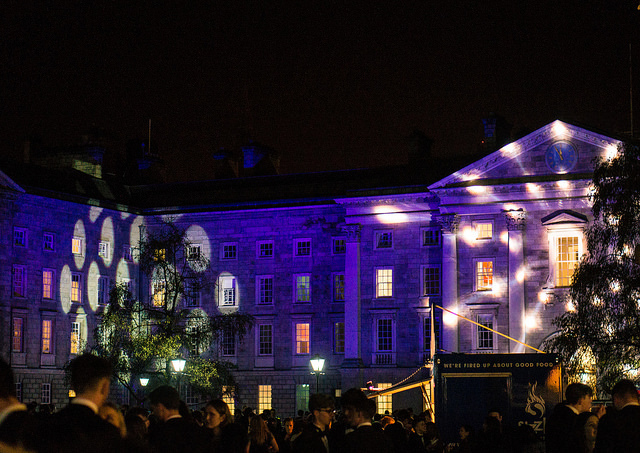 Trinity College is a unique institution. It excelled long before rankings. It valued its uniqueness. Now Trinity desires to become homogenous, much like a McDonald’s franchise, the same in Dublin as in Boston and Beijing. 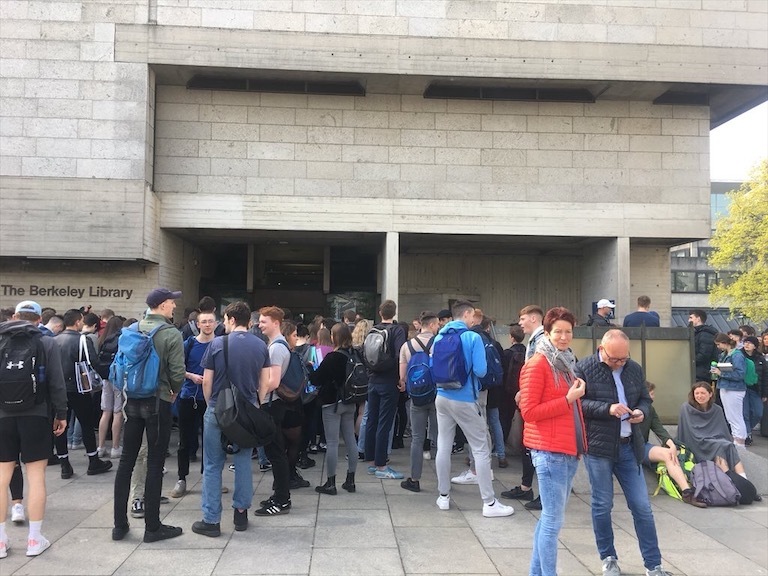 What makes Trinity a place that alumni value, that students clamour to enter and a place that receives respect in Harvard and Oxford is not an obsession with dodgy numbers and management consultants. Its quality academics and quality students are able to excel to the best of their abilities within a framework of respect and intellectual engagement with students at the heart of the institution. The brave new world of rankings holds that at naught. I for one feel this is a model worth defending. 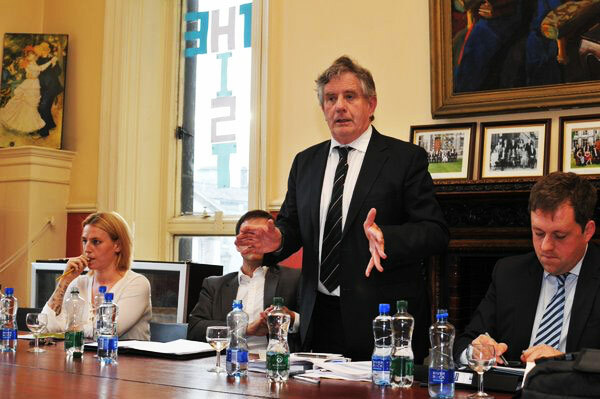 Sean D Barrett is an independent senator on the TCD panel. He taught in the TCD Economics Department for four decades, and served on the College Board under several provosts. He is re-running for the TCD panel in next month’s Seanad elections.